Katy Perry has her own, so do David Beckham and Taylor Swift – an own line of perfume is becoming a symbol of success and popularity for celebrities. According to a recent research on the result of advertising, the launch of a personal perfume is not only a profitable financial activity but also a way to improve the celebrity’s brand value. More and more businesses, agencies and even private customers discover this benefit of creating their own private label perfume or cologne. One of the leaders in the production of individualized fragrances is the startup brand UNIQUE. The specialized manufacturer allows customers to develop and create unique fragrances that represent their own brand or personality. More than 90,000 customers created their own fragrance with UNIQUE so far, among them international Fashion Week labels, celebrities and even the Sky Office skyscraper. Fragrance Identity: A scent is highly personal and expresses a person or a brand. A clear line of concept is key: For individualists intense notes like Tasmanian pepper or suede may be best. For everyone’s darling the smell of pink grapefruit or champaign may be the way to go. 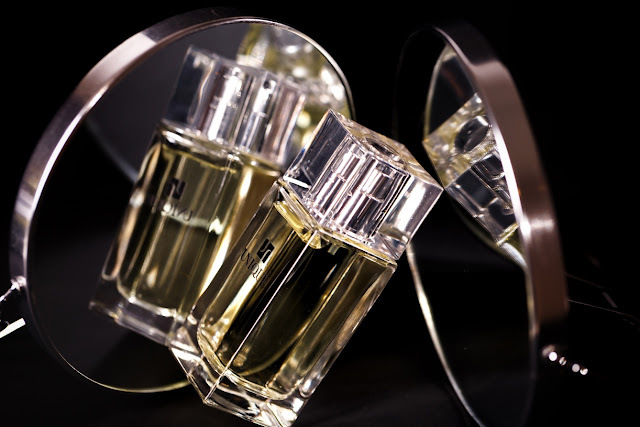 Corporate Design: Scent, glass bottle, packaging and brand image must constitute a perfect entity. E.g. for a masculine car brand with an aromatic scent, a straight-lined bottle and packaging design may be recommended. For a wedding planner instead a colorful glass bottle, ornamented with Swarovski crystals is preferable. Marketing: The commercialization and the branding are important success factors. Does the fragrance represent an established brand or is a newcomer brand going to be created? Is the perfume going to be sold in own branches or online? Will it be an exclusive giveaway, or will partnerships with retailers be established? Being the first company worldwide, UNIQUE offers custom-made fragrances in a personalized glass bottle for consumers starting at just $69,90 online (www.uniquefragrance.com). Businesses can create their own perfume label starting at 50 pieces. UNIQUE is creating luxury fragrances that are made-to-measure. The company is combining the traditional art of perfumery and technology to provide an innovative service: Creating bespoke fragrances! The progressive fragrance system and experienced perfume artists ensure premium quality and one-of-a-kind perfumes. The company has been awarded the Global Innovation Award, Service Innovation Award and ThinkDifferent Innovation Award. With over 90,000 customers and more than 130,000 custom fragrances created, UNIQUE is the leader in innovative perfumery and pioneers in an emerging market segment.